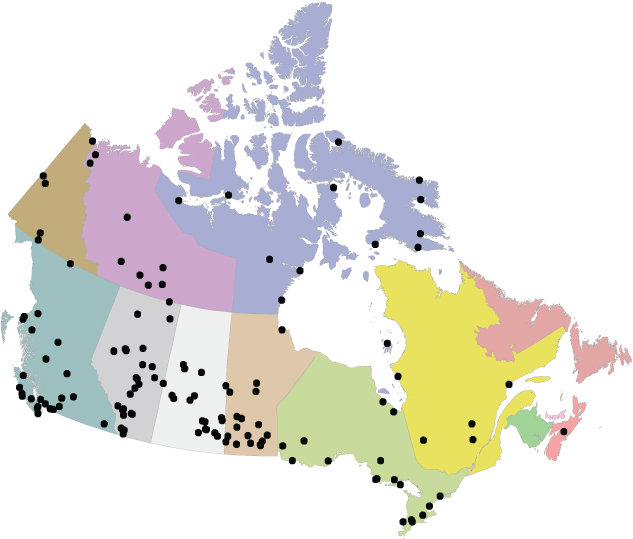 Residential schools across Canada. (c) Aboriginal Healing Foundation. In March 2014, Canada’s Truth and Reconciliation Commission held its seventh and final national event concerning the residential school system. In the 19th and 20th centuries about 150,000 indigenous children were seized from their families by authorities and forced to attend such schools across Canada. At least 3,000 of those children died and, as of February 2013, around 500 of those victims remained unidentified. Those are just two of many statistics that illustrate the devastation wrought by a system that was designed by the Canadian government to ‘kill the Indian in the child’. Why then does it seem so hard for many of us living in this country today to accept that many of the problems facing indigenous people today are a legacy of that brutality? During the seven TRC events held in cities across Canada from 2010 to 2014, thousands of residential school survivors and their family members spoke, many of them for the first time ever tearing the scabs from wounds that had been inflicted years earlier. Despite the mainstream media’s coverage of the TRC’s events, I believe that too few Canadians heard the horrendous stories of how children were betrayed by those who had been entrusted to care for them. So in this and the following six posts I will tell a handful of those stories. My aim is not to blame, nor to dwell in the past. But I truly believe that the horrors inflicted by the residential school system ruined the lives of many more individuals than the children who were killed, and that the experience poisoned thousands more indigenous families for generations to come. The way I see it, to acknowledge this past is a necessary step toward improving the future relationship between indigenous and non-indigenous Canadians, and to closing a gulf between these groups that seems only to be growing by the year. [Residential school] damaged the very fabric of my family, in such a way that our relationships are fragmented, are torn … I didn’t know how to be a mother to my children, I didn’t know how to be a sister to my sister, I didn’t know how to be a sister to my brothers. [Still, Adams managed to go to university, where she studied conflict analysis and management]. And it was tough and challenging to achieve those things… because I was told repeatedly that I was stupid, that I was dumb, that I could never learn anything. And for 30 years I carried a nun on my right shoulder, who embedded those thoughts, that tape, into my head. She was the nun who was given the responsibility of supervising Grade 1 and 2. She beat me. Her favourite form of punishment was to grab me by the top of the head and shake my whole body around.